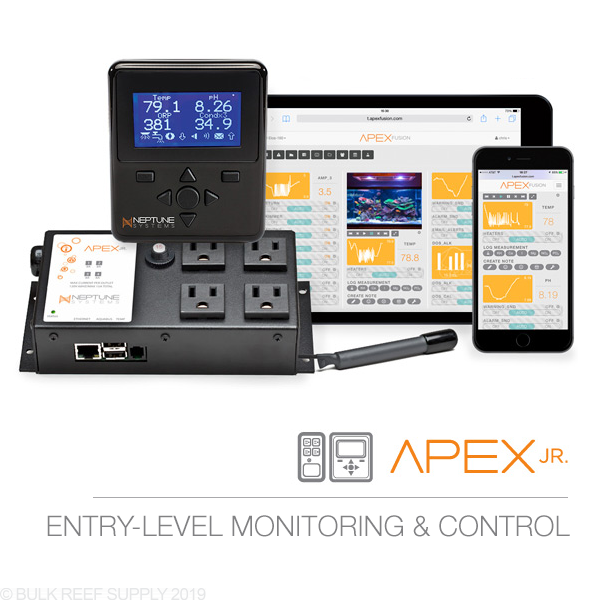 The Apex controller is by far one of the most advanced dedicated aquarium controllers on the market today. The wide variety of controllability with the Apex controllers and their easy to use cloud interface makes it a perfect option for a fully automated reef tank. The seven-module limit will cover most tanks that do not need every bell and whistle but may want leak detection, salinity, or any other of the many modules that Neptune has available. Note: Smart Phone and Tablet not included. Got this with my first reef tank, and it's a great heater/fan controller for my nano. I really love graphing my testing in apex fusion. If you have a nano, get it. If you have a bigger tank though, go with the classic or new apex as 4 plugs is very limited. I bought this mainly as a temperature controller to allow the use of a fan for the summer months. I have a Auto Topoff Kit (ATK) from Neptune already on the tank. I was not impressed with the alarms that were coming from the ATK and the constant power off to reset. I was pleasantly surprised when interfacing the ATK to the Apex-jr, allowed the alarms to be managed nicely. I got a couple of benefits in the feed modes, also. I was able to separate the Icecap 3K Gyre pump from the sump power to allow for it to run with the sump of during some feedings and off with the sump of for other feedings. This was a very nice feature. The Apex-JR does not interface with the AI HD Prime lights on my system, but they run their own program and are accessible via wifi. There are some other modules available that might be nice, but currently it does what I wanted for this tank. It is a 75 Gallon Mixed Reef in my Living Room. For a tank on this size, an Apex-JR works well. It should be noted that the Apex-JR does have limitations on the number of Modules and expansion. That could be changed by Apex with a software upgrade. Thus Neptune Apex-JR only gets 4 stars. Easy to figure out how to use saves on the headaches of other temp probes and accurate brs has a video for anything you want to know. Was looking at the apex controllers for along time never pulled the trigger on one because thought it would be to difficult to setup but man was I wrong took me longer trying to figure where I want to put it in my stand than setting it up it was a breeze. Now I am kicking my self for not buying one years ago would have saved myself a ton of headaches and the possibilities are endless. I'm getting back into the hobby after about 15 years away, and there was nothing like this last time around. Mostly, the Apex is giving me peace of mind, especially when I'm away for the weekend. 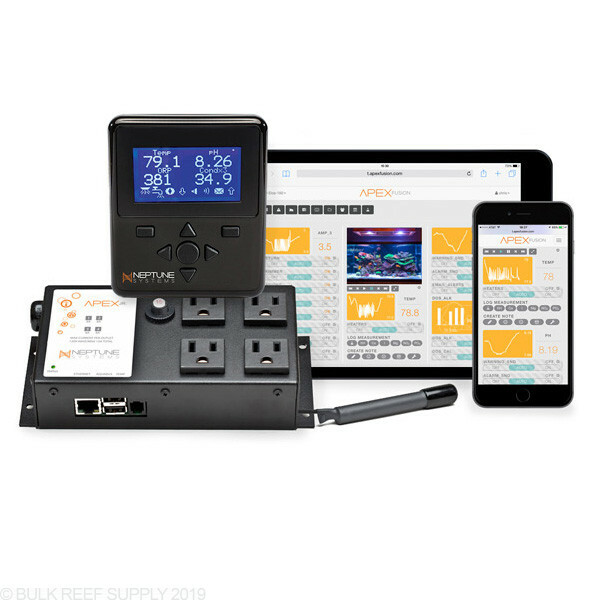 I've added three additional modules for extra outlets (EB8), light control (VDM), and pH monitoring (PM1) which I really bought so I could add a Breakout Box. So far, so good. Everything seems to be working well, and being able to check in from the web has been really nice. I did hard wire mine to the network in my house rather than buy another piece of equipment to connect it wirelessly. I think this was a really good idea in retrospect. I've had virtually no connection issues that others have sometimes encountered when connected with wireless. Just hooked up and already found major temp difference. Easy to set up. Need pH unit to do alkalinity dosing more accurately so I wish I would have bought the controller with it. So I bought the Apex jr and had it 3 months. Installed it with only the probe inside the stand. Ran for 2 weeks and went down. Sent it to Apex after 2 weeks of back and forth communication. Was told 3 weeks later it has water damage. Hard to have water damage if never within 4 feet of water. So going to cost $120 repair a $238 part. Good that i went to another brand. Programming is easier and the tasks now make it easy for a non-technical person to get started without feeling overwhelmed. I have both the full Apex and an Apex Jr. The Apex Jr runs my AWC system and salt water mixing area which are located in my garage. They are very easy to program, there is a great forum for support and ideas through Neptune, and Neptune's support has been great over the years. For smaller systems or special projects like what I use this for its a must have item. love this product , great piece of mind knowing i have a smart toy looking after m tank. Setting up my tank which had been down for about 8 years. I am amazed at the new technologies out there. 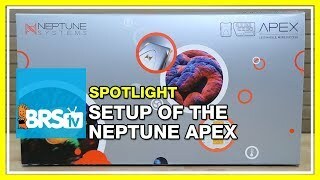 Love the BulkReef site and the numerous helpful videos and when on their recommendation for the Apex JR. I received the unit and plugged it in. Everything seemed pretty simple. It came on and I was able to configure it for the temp probe and add it to their cloud. I was pretty happy. I noticed the time was off, I reset the time and restarted it and that is when everything went on me. Initially when it came back on the display was lit with nothing on it. I let it set for a while, never changed. I unplugged and plugged it back in and same result. I then opened a ticket with Neptune via the web. Later that day I noticed the display had come back. I updated my ticket with Neptune. I then unplugged it and plugged it back in and it didn't come back at all. The status light was steady orange and the display wasn't even back lit. I could see it wasn't connecting to my network. It appeared dead in the water. I tried unplugging it in and plugging it back in a few times, same result. I updated my ticket with Neptune. It was as if they didn't read what I wrote. They kept saying they wanted to schedule a time so they could login to the APEX JR. I told them that wouldn't be possible. I then called Bulk Reef to ask for help. They said to call them direct and gave me their number (same as Neptune webpage). I tried calling 5-6 times throughout that day and no one ever picked up the phone. At this point I called back Bulk Reef and said I wanted to return it. They said they would get it and it would take a couple days for them to determine the issue and fix or replace. I told them I wanted to return for refund and they sent me RMA number, no UPS sticker. I paid to return it myself ($14.00) and sent them a complaint email on costing me to return a defective product. They then sent me a tag for UPS which unfortunately was too late. Bulk Reef promptly refunded me when they received the APEX JR. I also am returning the unopened PH module I had bought since I don't have the APEX to use it with. The only issue I have with Bulk Reef is having this on their recommended list. In reading reviews of Neptune, I am not the only one that has had the support issue. I did eventually receive and email from Neptune saying they had power issues and the phones weren't working, judging by the reviews, this must be a common occurrence. Again, my issue isn't with Bulk Reef but with Neptune. Initially I purchased a Reefkeeper Lite to run a Finnex 800 watt heater on a 180 gallon mixed reef with a 75 gallon sump. (It was on sale.) That worked great for about a week until it failed and my tank went up 4 degrees before I caught the malfunction. I returned the Reefkeeper and purchased the Apex Jr. Wow!!! What a great purchase. I have the Apex hard wired into a router and I can check my tank or change parameters from anywhere on my cell phone. I am a dinosaur when it comes to computer stuff. Trust me you can work with this. There is an easy level for guys like me and I understand a geek mode for the more sophisticated. My temp hasn't varied more than 1/2 degree in weeks. Now I realize I could have avoided purchasing the MP 40 controller the Kessil controller and 3 timers. I wish I had purchased this years ago. I will probably upgrade and have an Apex control everything in the near future. How do I connect several modules to the Apex jr.? There are only 2 usb ports in the power unit - one for the display and one for a module. Do I need a splitter or do I add the additional modules in series? The Apex Modules will be connected in a daisy chain style (series). Every module will have two aquabus ports letting you connect it to an existing module, and then an open port to connect another module. Modules can connect anywhere in the series and be able to send its information up to the head unit for processing. Thanks for the question, and if you have any more let us know! 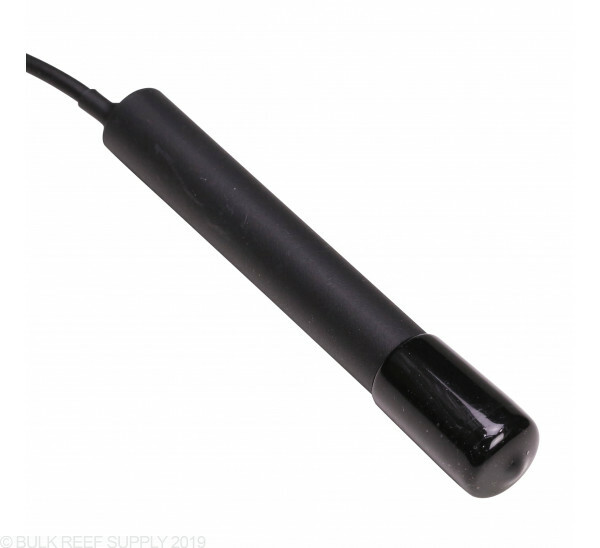 Can the Dissolved Oxygen Module PM3 be used with the Apex Jr? The PM3 will work fine with the Apex Jr. Keep in mind the Jr. will only be able to runn4 modules total. Feel free to let us know if you have any further questions! I'm wanting to set up a controller that will turn on a fan if the temperature reaches say 79 degrees and turn it back off if it gets down to 77. Is that something this controller would do? The Apex system has controllable outlets that can be programmed based on a number of sensor inputs, including temperature. You can easily plug a fan into one of these outlets and then program it to run much like a chiller with set on and off temp points. Can the Apex Jr. control vortech mp40, such as changing mode? Can I use this to make my wave maker run more slowly/gently? The one I have for my nano tank is too strong. Also, can I use an Android tablet as a dedicated control screen? 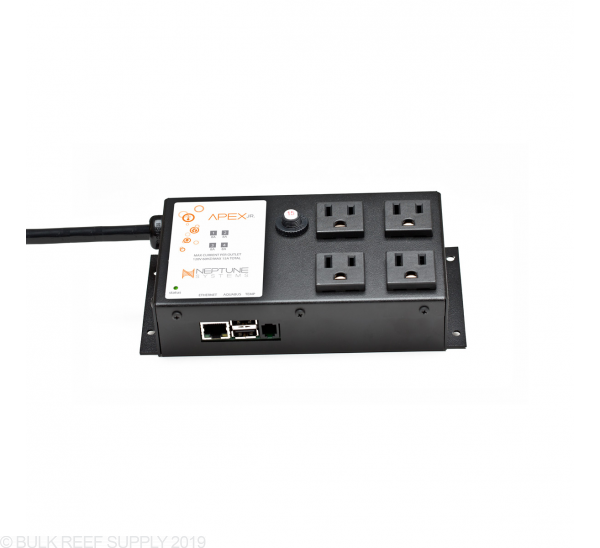 How long is the power cord for the Apex Jr? The power cable for the Energy bar is 6 feet long. Will the basic Apex JR setup control a MaxSpect Gyre pump or do you need anything else (other than the icecap)? Unfortunately the Jr. will not have the Variable voltage ports and the VDM module will be required to connect to the ice cap. Feel free to let us know if you have any further questions! 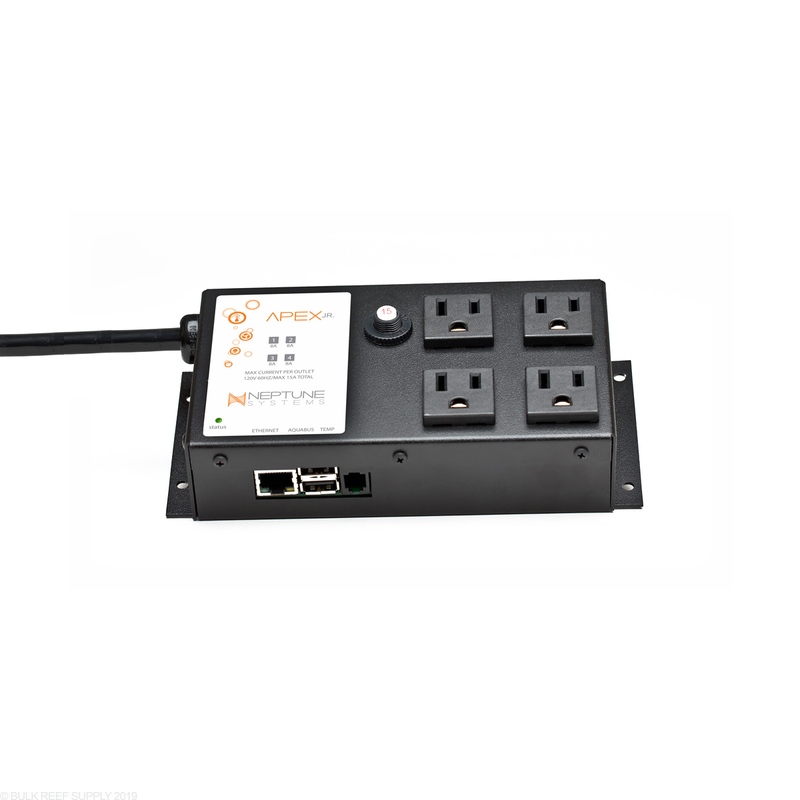 How do you connect the Apex Jr to the internet? Ethernet to pc or router? I'm planning on buying an aquarium controller for my reef tank. My main priorities are temp control and programming a solenoid valve for my RODI them having the data/alerts sent to me via email. After looking over all the controllers I have decided to buy an Apex JR, SV-1 solenoid valve and a pH/ORP Probe Module: PM1. Can you please confirm the PM1 will be able to control the SV-1 and if not what is the cheapest module that will? 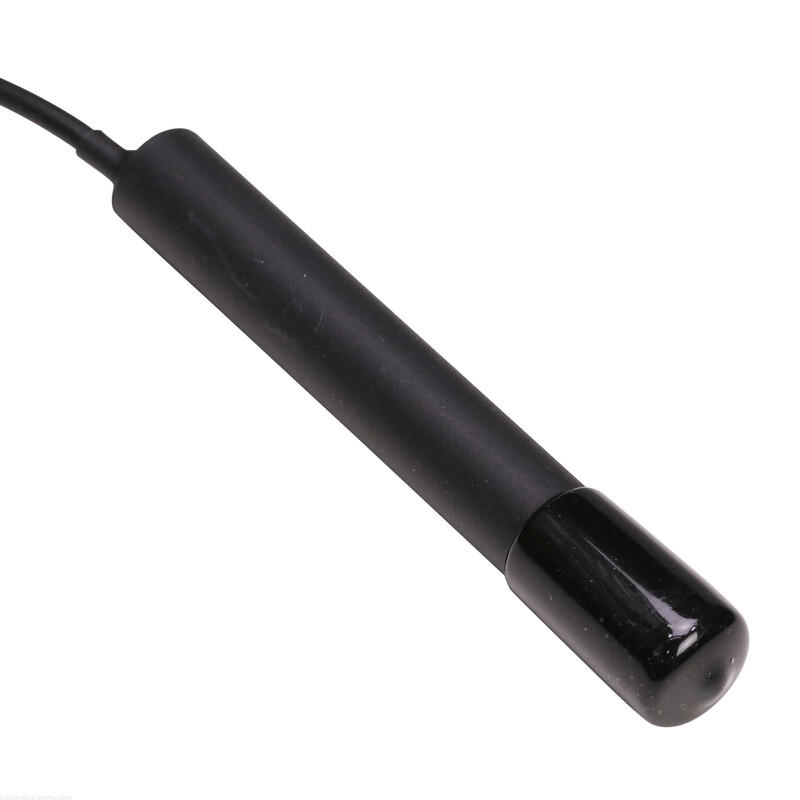 If you are planning to have the solenoid control RODI output for auto top off, you will also need a way to monitor your water level, either through the use of a float switch, or optical sensors. The solenoid itself will have to be plugged into a powered 1Link accessory port which has a 24v power supply. This can be done with a 1Link module and power supply, FMM module and power supply, or with an EB832 power bar (full Apex system only). 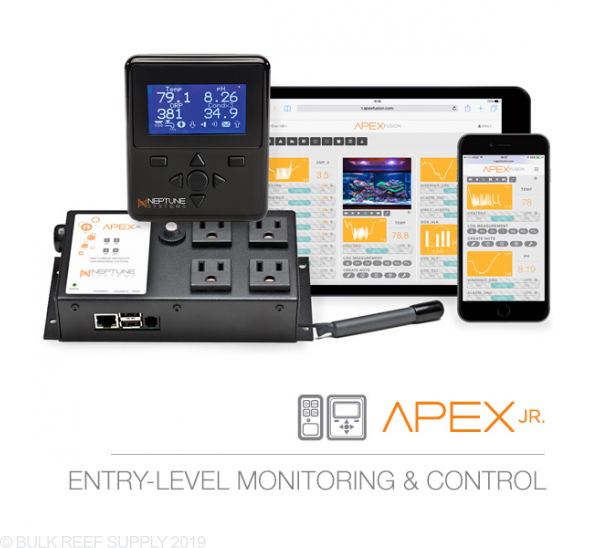 If you purchase the Apex Jr, can you add module later. Like a PH probe. The Jr can handle a maximum of up to 5 modules. You can mix and match them however you like (eb 8's, PM1's, etc) as long as you don't exceed a total of 5. 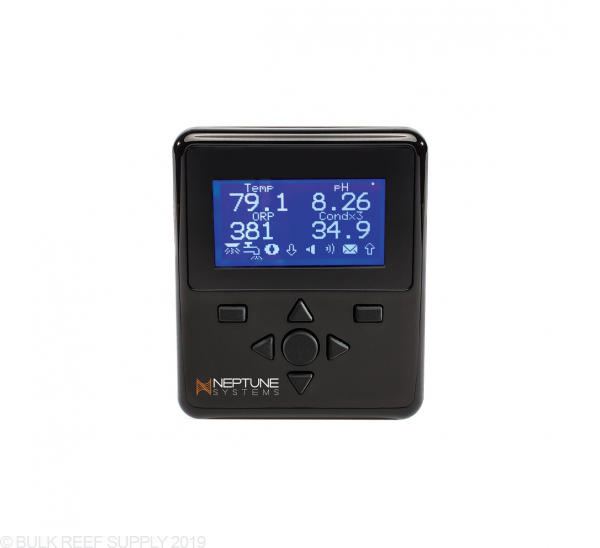 The Energy Bar 8 is compatible with the Apex Jr.
Would I be able to add a PH probe, Led & Pumps controller, Lunar Simulator LSM & Lunar LED string, 1 Tunze 6095 pump and a JBJ nano glow refugium light and be able to control them all with the Apex Jr? The Apex Jr is expandable to add up to a total of 5 modules. 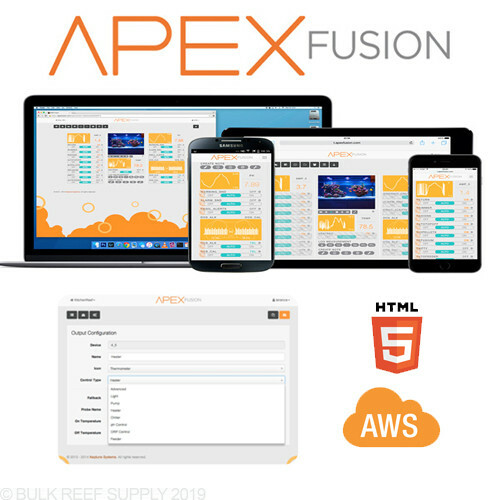 You can add individual modules to add the functionality to do everything you mention, but if your going to do that it really doesn't make any sense at all to order an Apex Jr because buying all of the individual modules will cost more then the standard Apex system does. Much of that functionality (Tunze control, LED control, pH probe) is already built into the standard apex unit (though you would still need the lunar module). Buying all those extra modules and probes costs more then just buying the standard apex. It also doesn't have the 5 module limit so it would be much more expandable into the future as well. Can I control both Kessil 360w with the Apex Jr? Must I use 2 outlet (1 for each) or can I plug both 360W into 1 outlet? The Kessil requires two channels of control. One channel for the power level and one channel for the color. A single VDM port on an Apex actually controls two channels, so only 1 VDM port will be required to control a single Kessil. Multiple Kessil's can be daisy chained together so you can control multiple units from that single VDM port. Can you use an Energy Bar 8 with the Jr? Thats not a problem at all. The Jr. can use any of the modules including the EB8 it just has an 5 module maximum. Can the led module be hooked up to this? Also can it be connected to the internet wirelessly? I don't have an Ethernet plug in close to my tank. 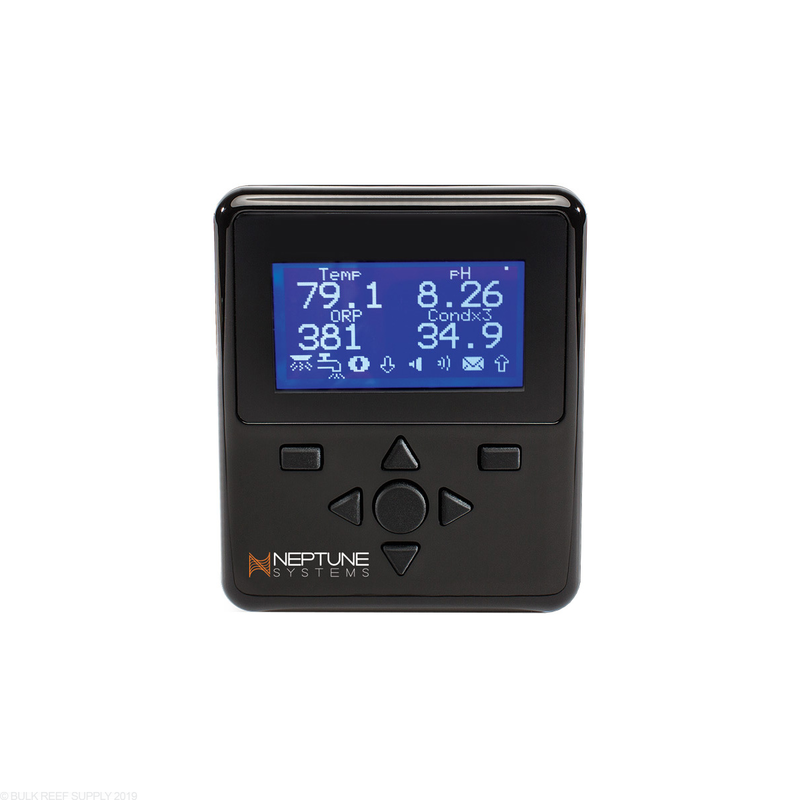 You can connect any of the other neptune apex modules to the Jr. so long as you don't exceed the 5 module maximum. You do need to plug the controller in with a physical ethernet cable though you could use a wireless bridge or gaming adapter on the other end of that cable to wirelessly connect to a wifi network.